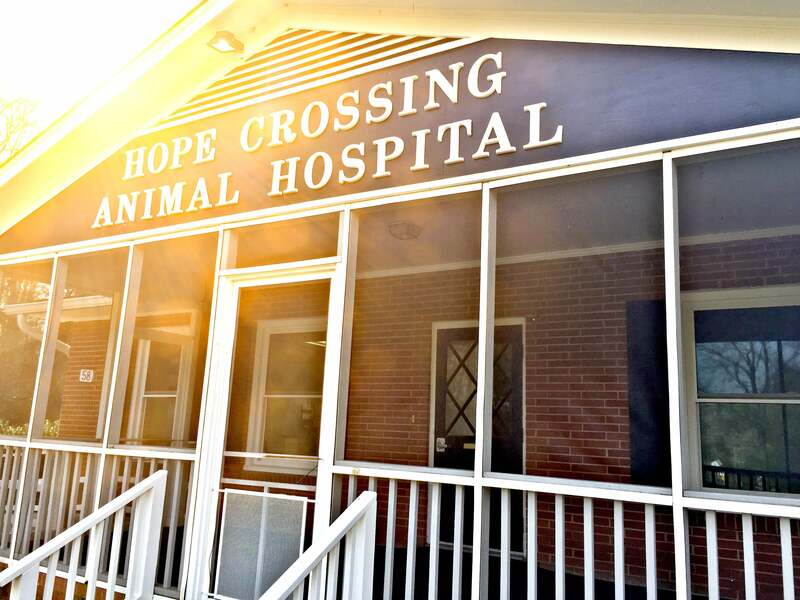 Hope Crossing Animal Hospital is located at 58 E. Cotton Rd. conveniently located off of highway 15-501 in between Pittsboro and Chapel Hill, smack-dab in the middle of Chatham County! Dr Webster and Dr Sweet believe in compassionate, comprehensive health care for your pet. We are a "paperless" hospital with quality equipment, offering the highest quality of personal care for your pets. Please call us to schedule an appointment. We look forward to you joining our family!